I’ve had a hard time finishing off my dining room…in fact, we’ve lived here now for almost 12 years and i’m still puttering around in there without committing to too much. I think in great part, i was able to ignore this part of the house as it was completely under utilized..under utilized as in not used at all. Now as the kids are growing older, the dining room holds more appeal for entertaining larger groups and dinners. I remember well the “kids” table at many a family gathering growing up…yep, now our kids are happy to eat with their friends in one area while we adults can hold court in civilized style in…the dining room! 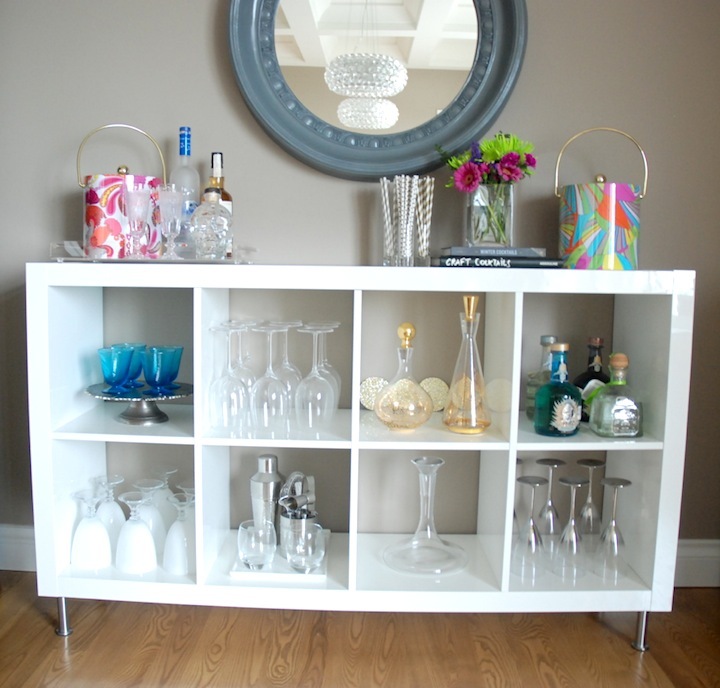 While i still have work to do, i came across a fabulous find last year when the Everygirl did a round up of their favorite Ikea pieces. 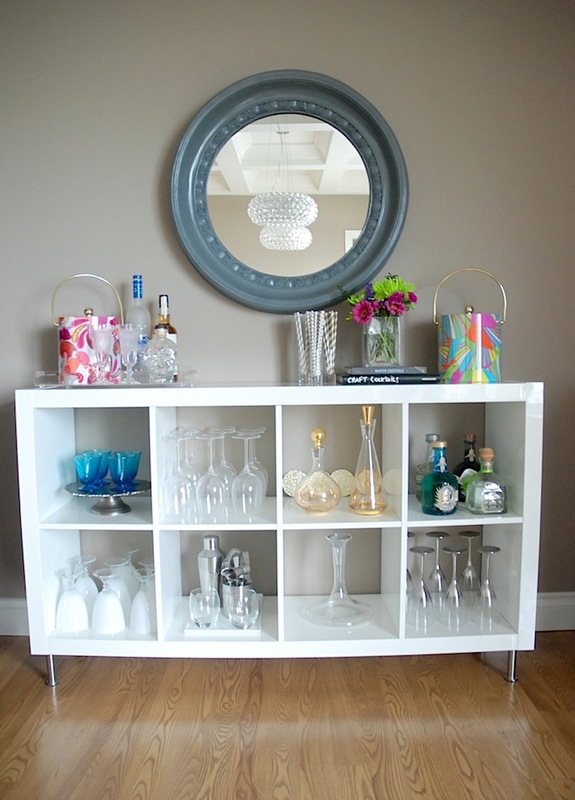 The Expedit shelving unit works pretty perfectly as a bar when laid on its side. The price was right too… $99 cdn. As long as you can navigate the assembling process (no really, i have to leave the house when Scott is dealing “IKEA”..it always gets worse before it gets better…) you’re golden. 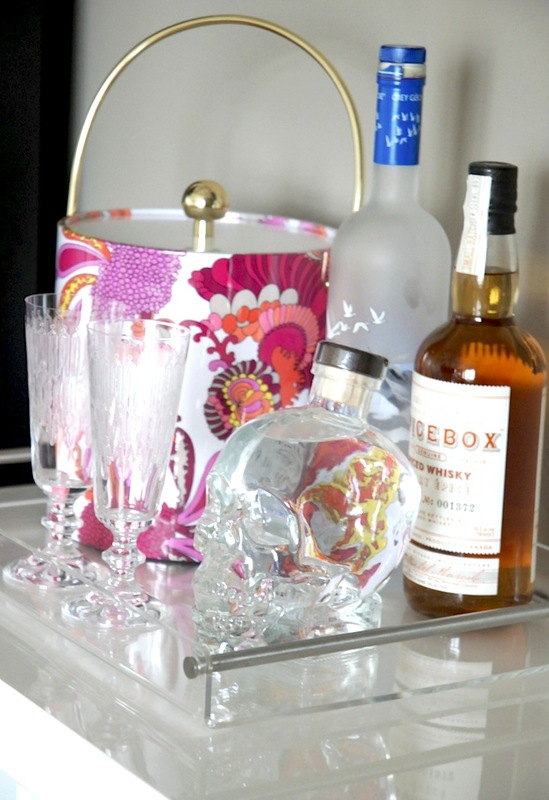 Personalize your home bar by including items that add some interest as well as color and dimension. 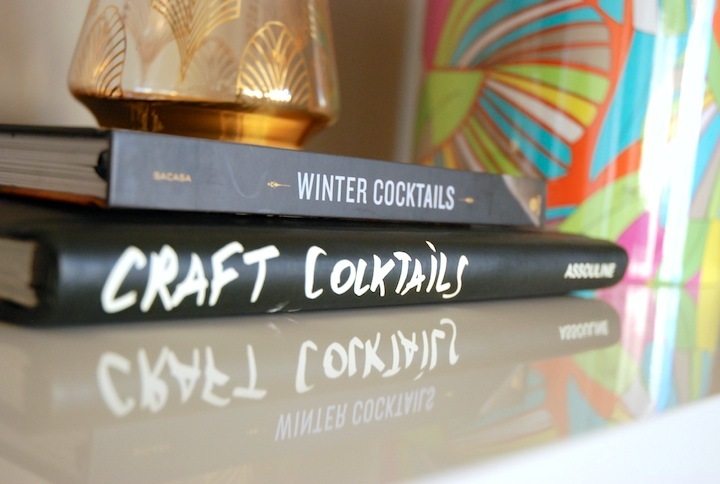 Books are perfect for that…and these cocktail books fit the bill! 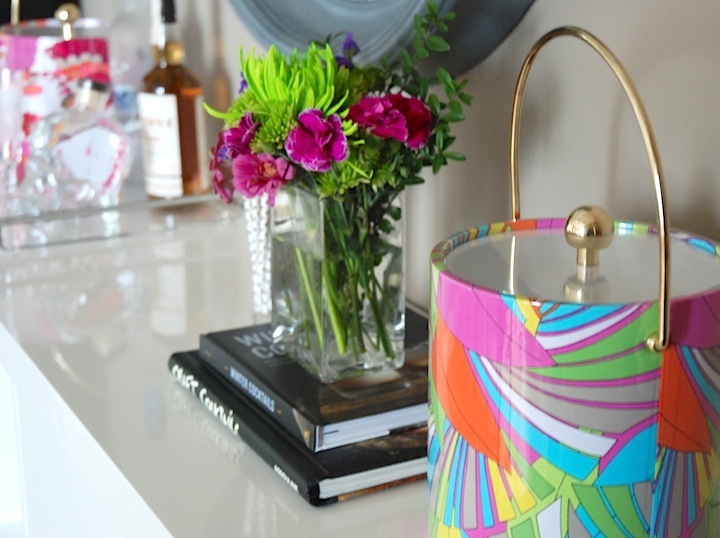 I also love the Trina Turk ice buckets that flank both bar ends…they were gifts and i LOVE them… their retro style adds a funky little vibe. 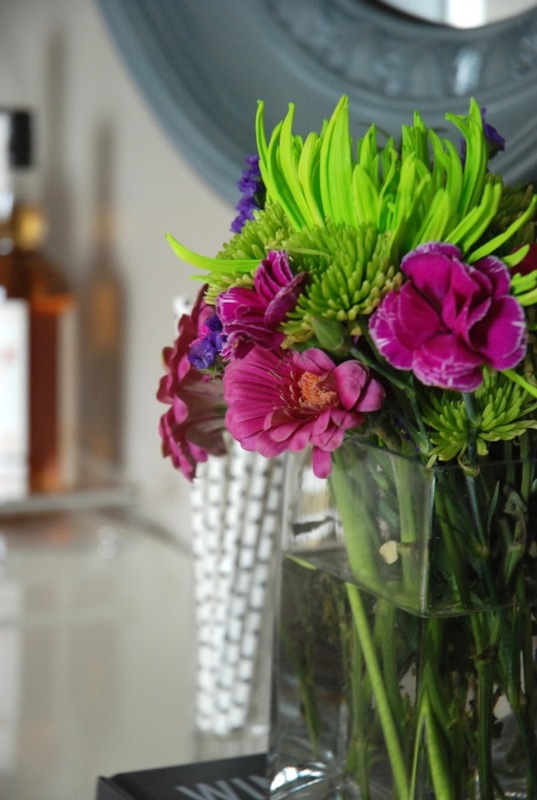 Homesense is a great place to find some conversation starting pieces as well. Scott’s love of skulls makes its way in here too.. I love that this piece has given me a ton of additional glassware storage..gone are the days of having a china cabinet, but this open shelving still gives me the chance to display my favorite entertaining wares. If you’re brave, be a rockstar and go for one of the new lacquered colours that Ikea is sporting on the Expedit shelving… turquoise or hot pink? Oh and please send pics!!! « Off to Alt Summit I Go!